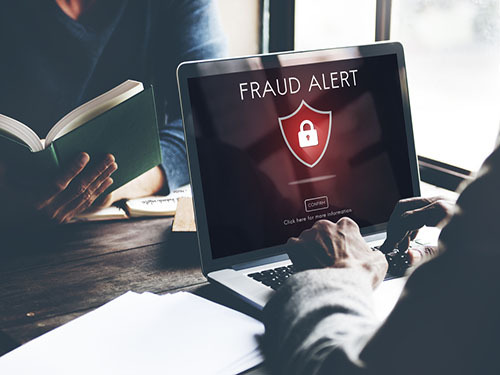 We have been alerted to multiple instances of persons impersonating Financial Alliance when contacting job seekers via online means, such as chat platforms and emails. 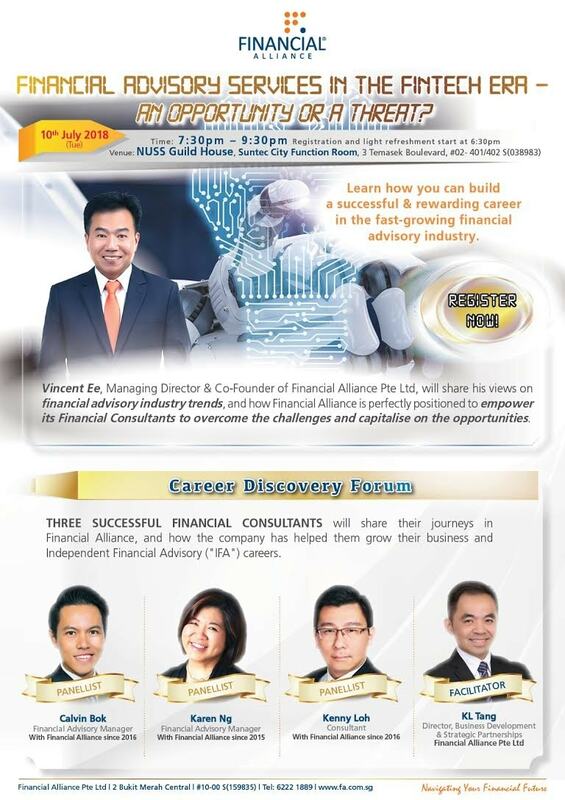 Such persons will attempt to, in our company’s name and identity, obtain personal details of the job seeker. 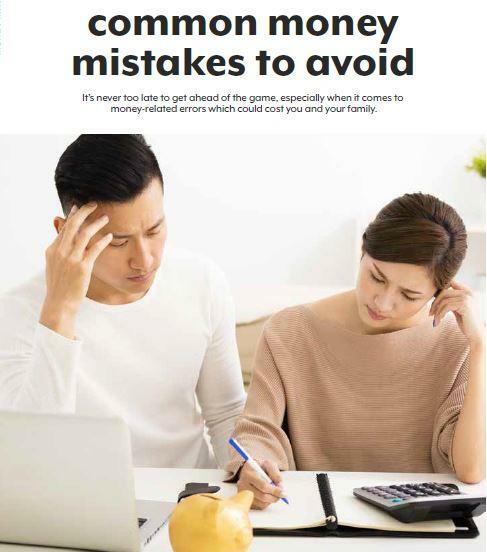 In some cases, they reportedly offered to send a check to the job seeker to purchase equipment for the work to be done for them. 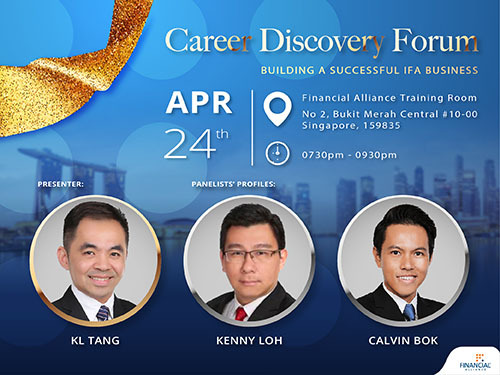 As a respected professional in Singapore’s leading and award-winning independent financial advisory firm, Financial Alliance can help you capitalise on the latest Fintech tools to succeed in your career as a financial advisor. 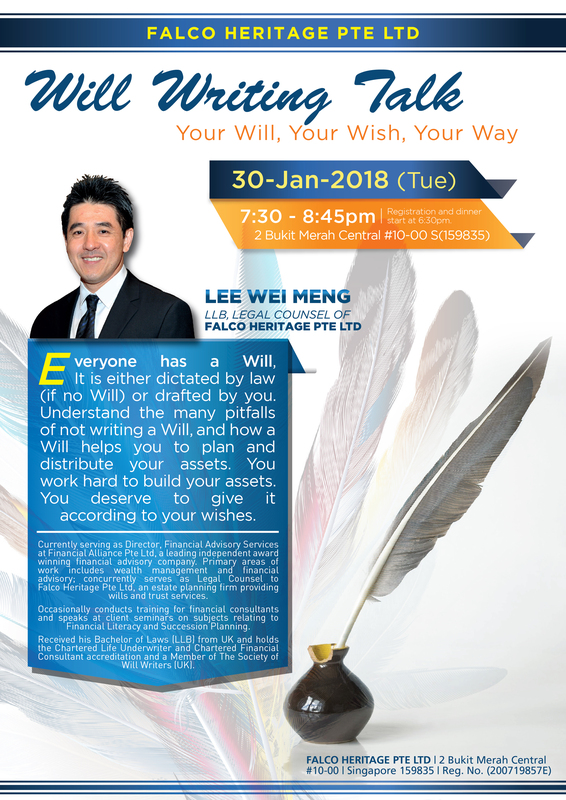 Financial freedom and happiness are within your reach. 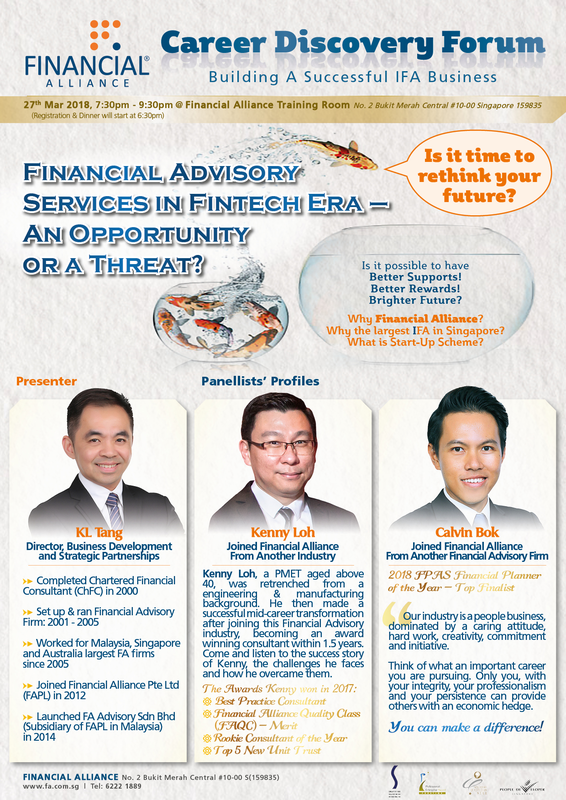 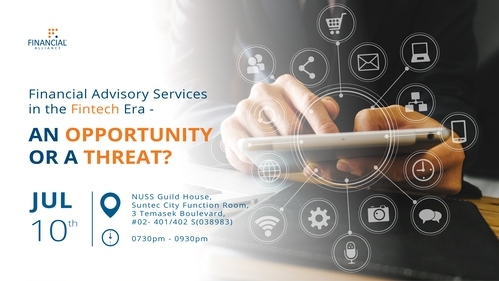 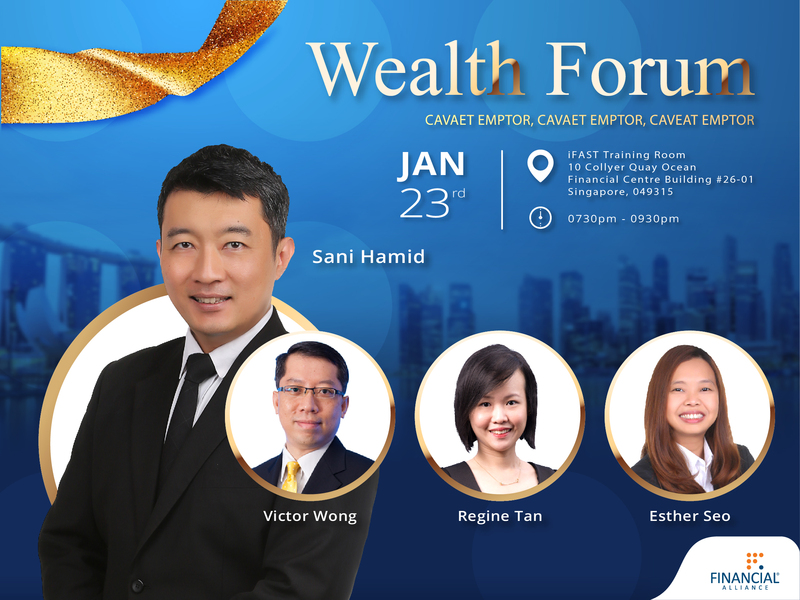 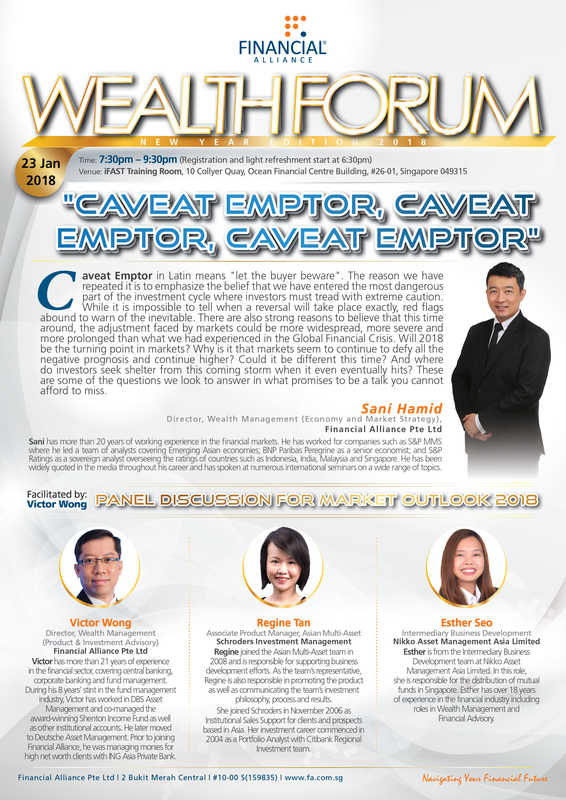 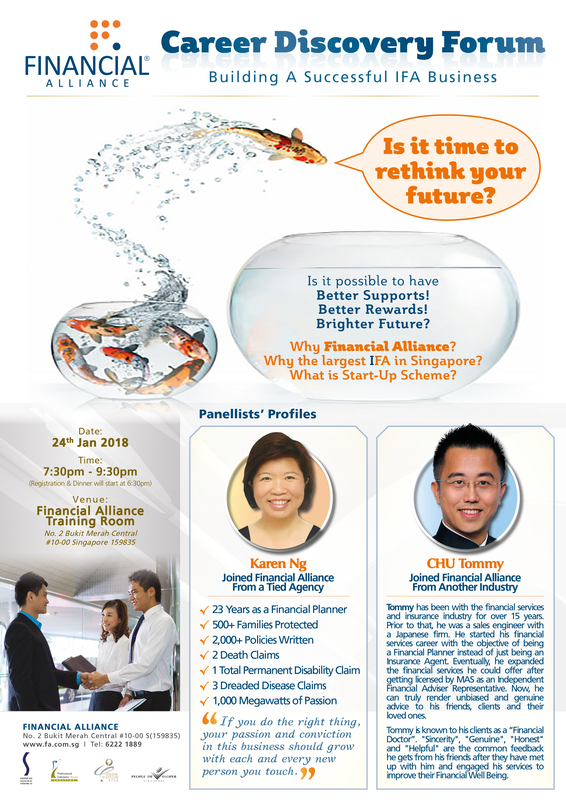 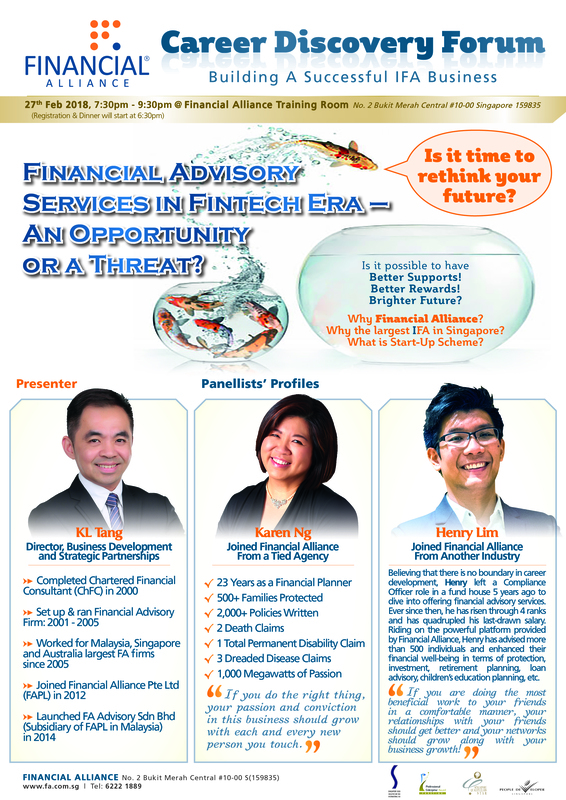 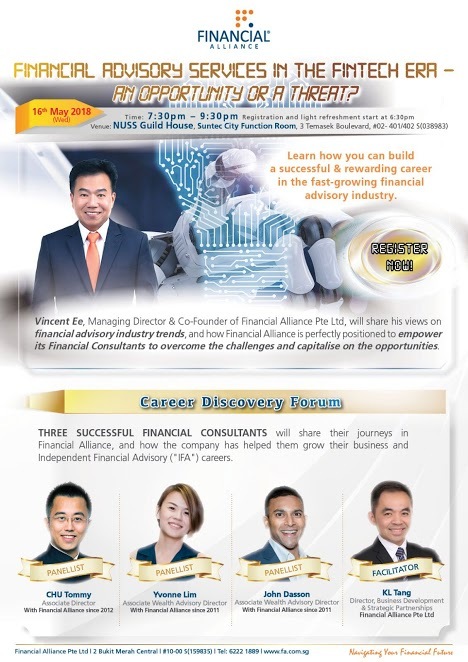 Don’t miss a talk by Mr. Vincent Ee, Managing Director and Co-Founder of Financial Alliance on how financial consultants can overcome challenges and capitalise on the opportunities in the financial advisory industry! 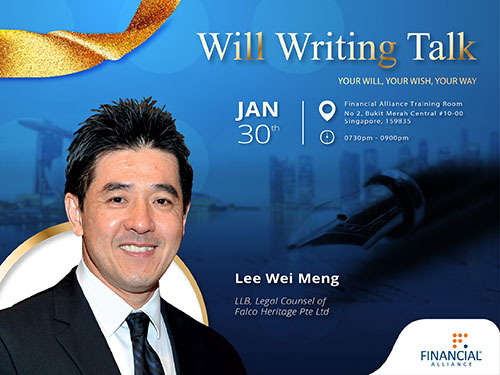 New year, new career? 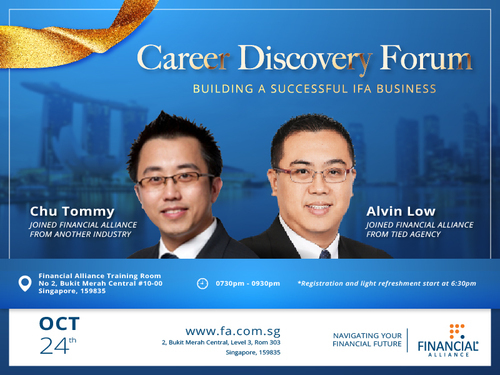 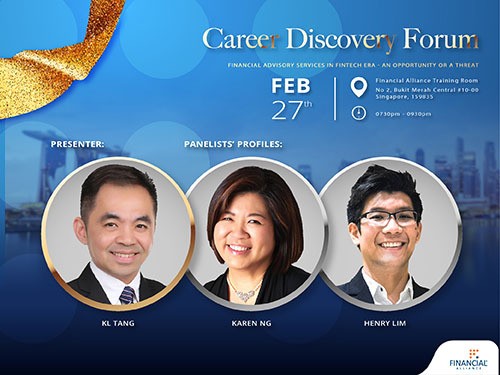 FA cordially invites you to our first Career Discovery Forum of the year on 24 January 2018. 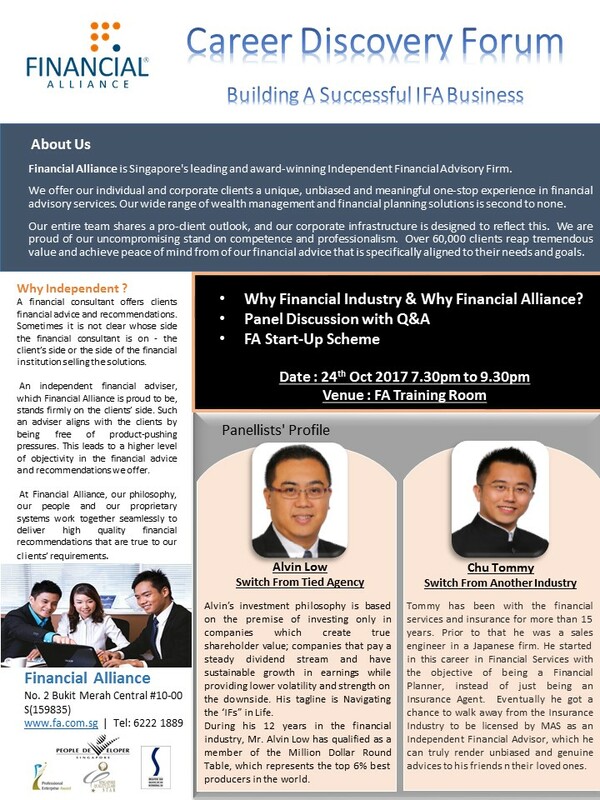 We will share with you the benefits of building a successful IFA business that will help you kickstart your journey in this industry!